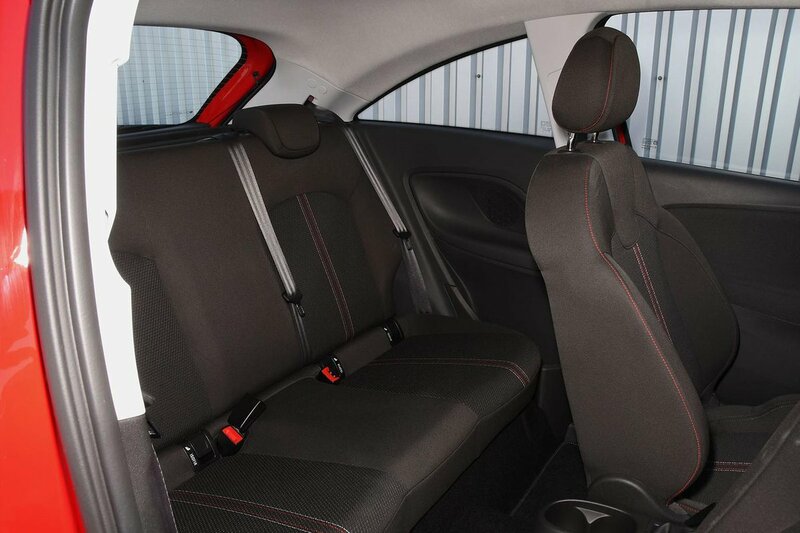 Vauxhall Corsa Boot Space, Size, Seats | What Car? 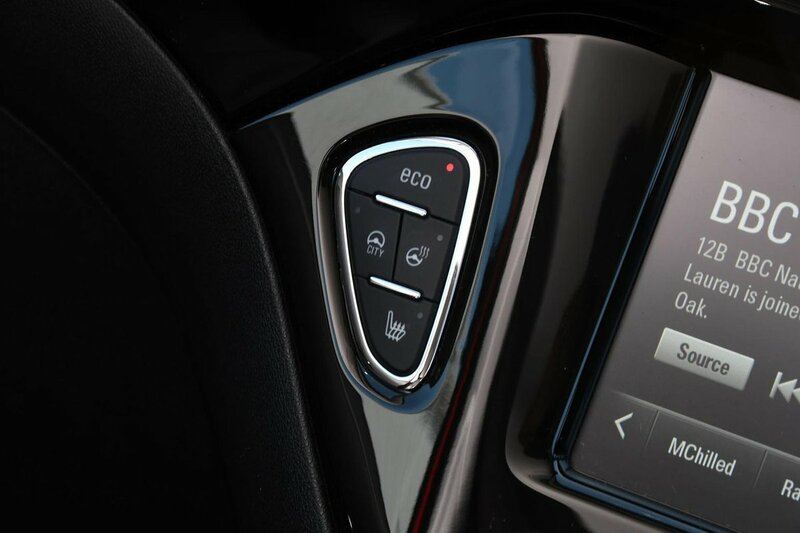 There’s a lot of head room in the front of the Corsa – more than in the Fiesta or Ibiza, actually – but long-legged drivers might wish for more leg room. The interior is reasonably wide, so it doesn’t feel too cosy if you have a passenger next to you. There are two cupholders in front of the gearlever that are fine for 500ml bottles or medium-sized coffee cups. You can fit a bigger bottle in the door pockets, but the glovebox is small and the Corsa is generally rather short on interior storage space. 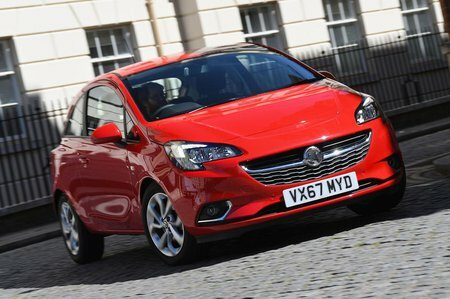 The Corsa is one of the better cars in the class for rear seat space, but lags behind the Ibiza and Polo. Two taller adults will be perfectly comfortable but the very long-legged will be at risk of brushing their knees against the front seats. Access is good in the five-door model, and is better than in the Fiesta which will be a boon if you regularly need to duck in to reach a child seat. The rear door pockets are fairly small, so you won’t get a 1.0-litre bottle in there. Disappointingly, you have to go for range-topping SE Nav trim (or pay extra) to get 60/40-split folding rear seats. Otherwise, you’re stuck with a single-piece foldable seatback that’s very cumbersome. The seatback is released by pressing buttons on the outer edges of the bench. It doesn’t fold completely flat, though, whether it’s the split version or the single-piece variety. You have to pay extra for a height-adjustable front passenger seat, too, but at least the front seats in the three-door model return to their original position after being flipped forward. The Corsa’s boot is nothing to write home about. It’s smaller than the Fiesta’s, for example, let alone the Ibiza's or Fabia's. Practicality isn’t helped by the fact that there’s a big drop down to the boot floor from the lip of the boot opening. There's no option to add a height-adjustable boot floor to mitigate this, either, whereas this handy feature is available on many rivals. You still won’t exactly struggle to fit your weekly shopping in the Corsa’s boot, though, and the floor of the load bay is a usefully square shape.